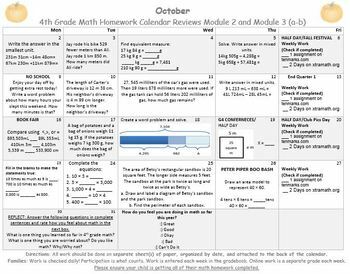 I created homework calendars to use instead or as supplement to the Eureka Math/Engage NY Math Modules. I love the curriculum but I struggle with giving students the homework for a topic just learned. I also have problems with students losing homework pages and packets. To fix all of these issues I created a calendar that reviews content learned in an easy to use and manage way. I feel homework is a necessary piece towards student confidence however I do not want it to be a family burden. 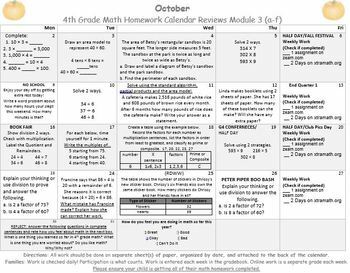 •	10 editable homework calendars for 2017/2018 school year aligned to Deer Valley Unified School District Scope and Sequence (Module Order is 1, 3, 5, 6, 4, 2, 7) along with vocabulary focuses helper pages. 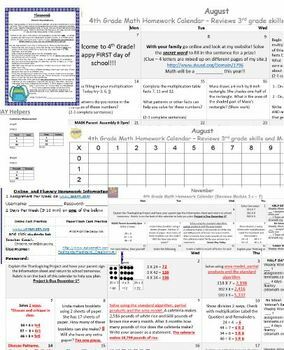 • 1 Smart Notebook File with all the calendars ready to review in class. 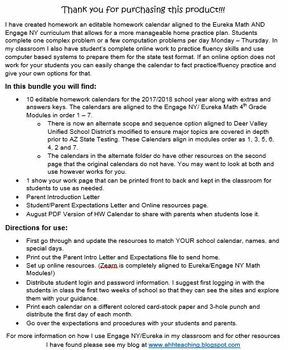 The pages of the smart can also be used to send home in an email or post to your website for when students misplace their calendar. This would also be a great extension for gifted 3rd grade students or to cover gap areas for struggling 5th grade students. You could use it in class as a warm up or in a station/center. ***I update the calendars for the following year over Summer Break!! This pack is ready for 2017/2018 school year.